It used to be that Fairtrade was another adjective tacked on to an expensive chocolate bar or overpriced bag of coffee beans, but according to a recent article, the fastest growing segment at the Natural Products Expo West - 2011 (March 10th-13th, Anaheim, CA) is Fairtrade/ethically sourced food, home and beauty products. From acai berries and coconut water to cat litter and facial wash, Fairtrade certification has grown tremendously over the past few years, threatening (in the best way possible) to become as commonplace as organic foods and products. With locavores on the rise and a general trend towards conscientious eating amongst consumers, it is no wonder that Fairtrade certified and ethically sourced products are becoming more widely available. Recently, the Fairtrade Foundation has extended its certification program into the fishing industry. Aiming to promote social and environmental change in fish farms and their practices, the Foundation is working with small-scale farms to mitigate environmental impact and produce better quality fish. 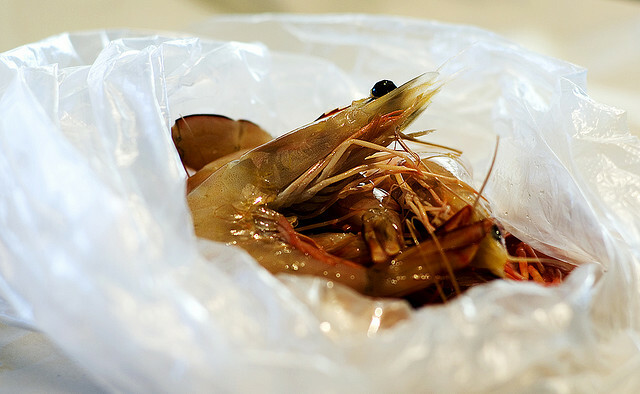 The Foundation's goal is to be able to certify Tiger and King prawns as the first Fairtrade seafood by November. We are what we eat, so let's make sure we understand and applaud the process from (fish)farm to table.